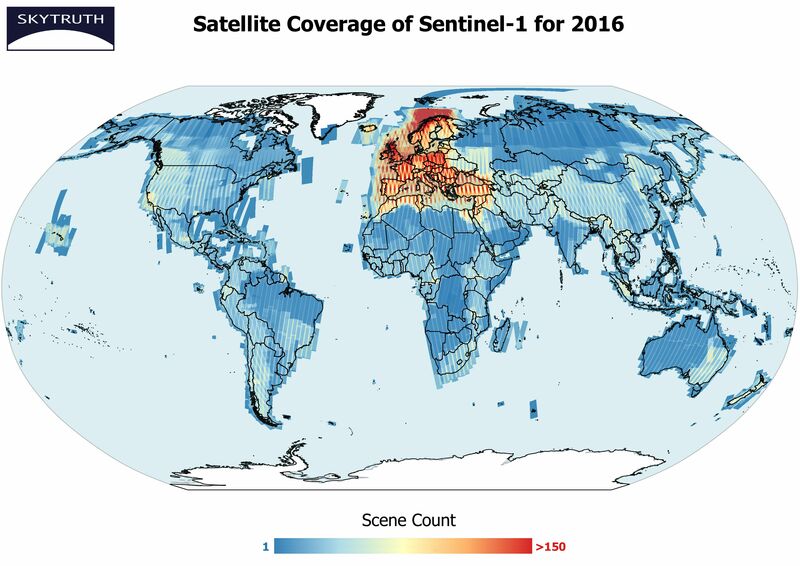 Here at SkyTruth, we depend on our friends at the European Space Agency (ESA), NASA and the U.S. Geological Survey (USGS) for their support in providing access to data and images from their fleets of government-operated satellites. 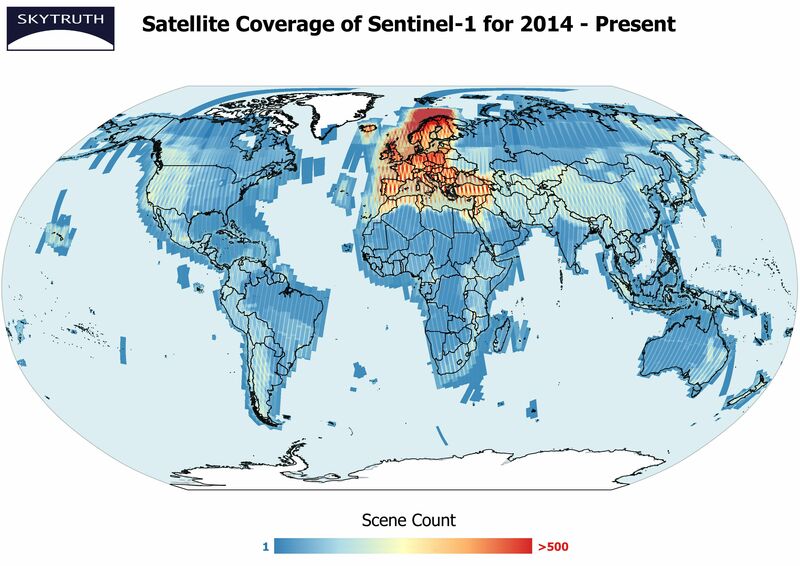 The Sentinel missions are pairs of satellites that are part of the Copernicus program at ESA. Sentinel 1 is of particular use to us for offshore oil pollution monitoring as the radar sensor it carries can penetrate cloud cover and highlight oil slicks against water. 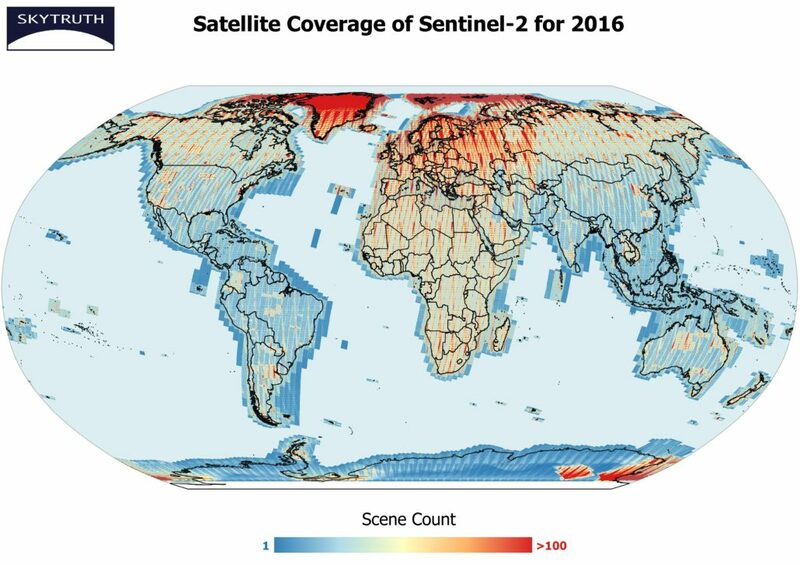 The optical-infrared imaging system on Sentinel 2 covers a wide range of spectral bands that we can process to create a variety of true-color and false-color images, which we use to study environmental issues like drilling, mining, and deforestation. 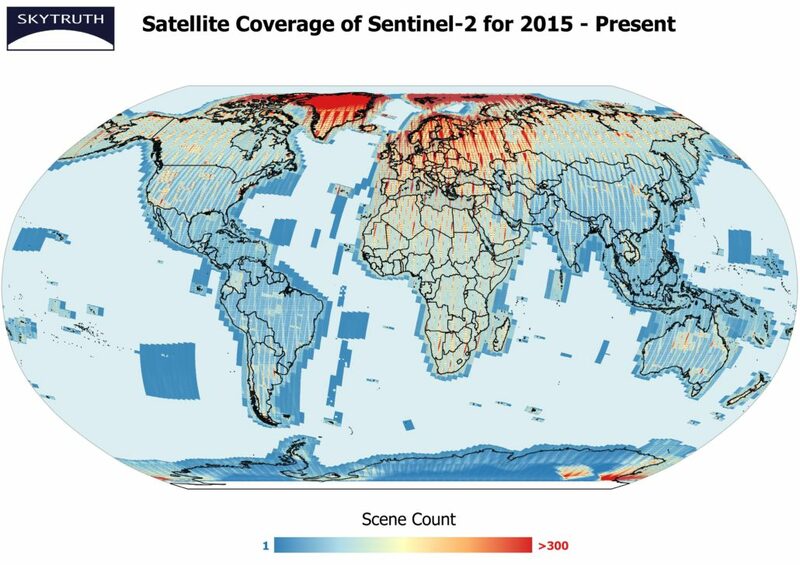 Many folks assume these Earth-Observing satellites are continually collecting images as they orbit overhead, but for most systems that is not the case. 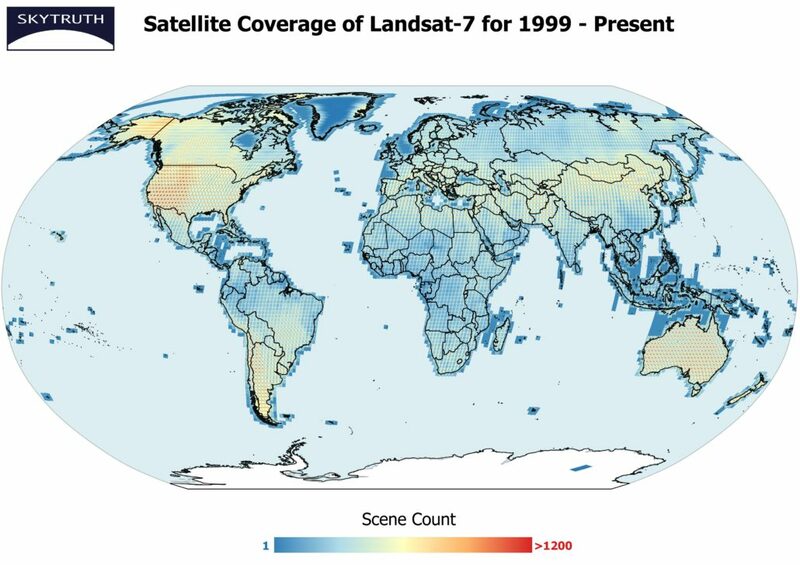 Much of the time the sensors are turned off to save power, to conserve onboard storage, because of limited communications bandwidth, or because the operators just aren’t interested in covering large areas where there isn’t much demand for imagery (far out at sea, or over vast deserts, for example). 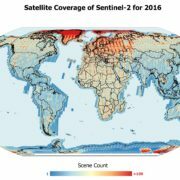 We thought it would be interesting and useful to analyze the archives of imagery collected by these systems, and map where they’ve taken images, to get a sense for how frequently they are covering various parts of the planet. The heat maps below show the locations of all the images collected by Sentinels 1 and 2 since they became active, and for a recent calendar year (2016). As you can see, the distribution of images is not at all uniform, with a strong bias toward covering Europe and the Arctic. Most of the ocean doesn’t get imaged at all. Please note that “scene count” means the image count at any particular point on the map. The U.S. Geological Survey (USGS) manages the images produced by NASA-built satellites in the Landsat program which has been imaging the Earth since 1972, much longer than any other civilian satellite imaging program. 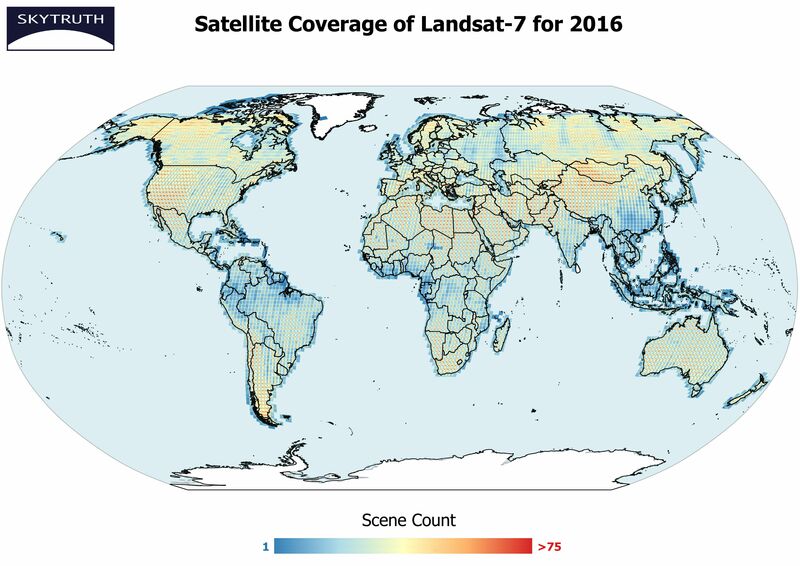 Currently, only Landsat 7 and 8 are in operation (with Landsat 9 planned for 2020) and, similar to Sentinel 2; they provide us with instrumental data collected across a range of spectral wavelengths which we can process into color images. 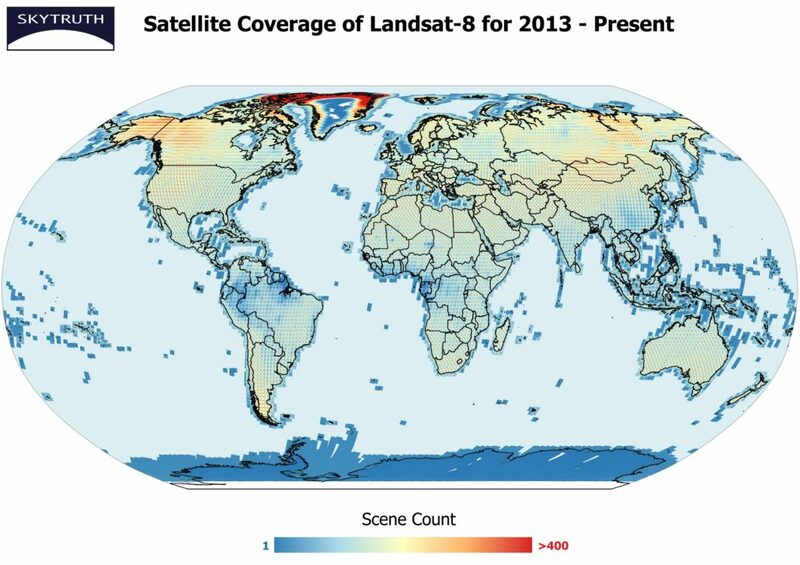 Like the Sentinel satellites, the Landsat archives have sparse coverage in the ocean. 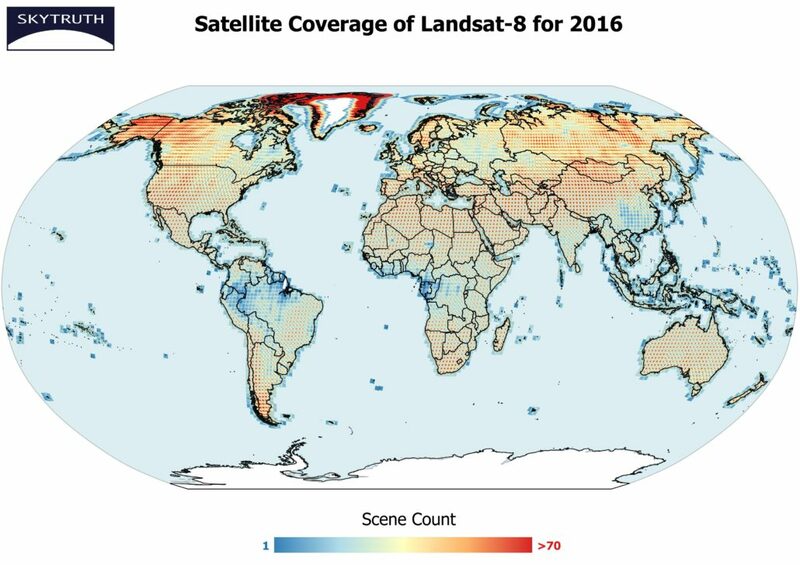 While there is some pro-northern hemisphere bias, the operators of Landsat 8 have made a concerted effort to distribute the collection of imagery more evenly over all of the Earth’s land masses, with the exception of a few large areas that are chronically impaired by heavy haze, dust, smog, or cloud cover. Can you pick them out?